As Dr Catherine Smith stepped down as Patron of MS Otago at this year’s AGM she shared a few words. Thank you Mike and the committee for inviting me to say a few words today as I step down as patron of MS Otago. Give and Take — it’s a phrase we have all heard and perhaps sometimes take for granted today I want to talk a bit more about this phrase and why it is relevant and important to all of us. MS Otago has had a wonderful relationship with the School of Physiotherapy for the past 15years. My friend and colleague, Professor Leigh Hale, reached out in 2003 with the idea that the School might be able to provide some exercise opportunities for society members. As physiotherapists, we prioritise physical activity (including exercise), it’s our speciality, we’ve have known for decades that – higher levels of physical activity are good for the body and mind. 15 years later and-The School of Physiotherapy still offers a weekly class run by Claire and, one on one programmes at our Umove sessions. That’s what we give so what did we take? Working with members of MS Otago give our students a wonderful learning opportunity and student feedback suggests that this is a learning experience very much valued by our students. Our links with the society have also provided research opportunities that have helped us further understand the benefits of PA and exercise for people who have MS.
For example, my whole PhD was dedicated to asking people with MS how fatigue affected their ability to exercise. One of the things we found from those stories, so generously given to us by you was that adopting a strategy of Give and Take with your own body could be a useful tool to help manage fatigue. This involved getting to know your body and becoming familiar with the threshold between a healthy tiredness and unhealthy tiredness after exercise, knowing when to give to your body e.g. food, rest, medication and meditation and knowing when to take from your body e.g. exercise and physical challenge. We have presented the results of this research several times to society members. Learning opportunities, research data, exercise classes, knowledge-sharing… maybe this balance between Give and Take is one of the reasons our great relationship has endured. What we have also learned from our research and from working with members of MS Otago is that 4 physical activity and exercise isn’t everything (perhaps hard for a Physio to understand). In our research, we learned that one of the main contributors or triggers for feelings of fatigue is psychological stress: anxiety, depression, embarrassment, frustration to name a few. The Mental Health Foundation recommend five ways to wellbeing, being physically active is one of them others are to connect, take notice, to learn and to GIVE. It has been my experience that many people with MS feel that they have nothing left to give… not true. Giving comes in many forms maybe as an active committee member of MS Otago, maybe a kind word or a gesture of appreciation. I would like to share a very personal story of what MS Otago members have given to me. In 2012, a team of MS Otago members participated in the 5km Master’s games walk in Dunedin. I don’t think that any of those people had done anything like that before – certainly not since the onset of their MS. They walked, they wheeled, they stumbled and they fell, they were tired and their muscles were sore for days but every single participant completed that course. As a physio, I helped by providing training programmes and joined the team on their walk — l was blown away by their determination to participate and succeed. At that time I had started to teach myself to play the cornet, my son played in a local Brass Band and I loved listening so much that I felt compelled to play BUT I did not have the confidence to join a band —I never thought I would, I was terrified at the thought. After the Master’s games walk I thought well if they can do it, so can I turned up at the band, my legs shook, I could hardly breathe and I don’t think I played more than three notes that first time (at least two of those were wrong notes) — l was terrified but I did it and that was thanks to you. Six years later, I’m still with the band and loving it — thank you. Now evidence is strong that the act of giving can help our mental wellbeing. So what about taking? Well we know from our research that support is vital and that asking for that support is also essential for wellbeing – Give and Take. 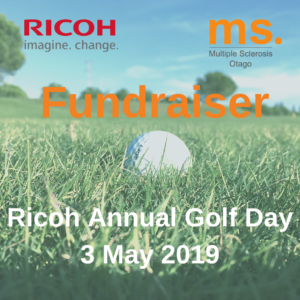 Just as a good balance of Give and Take can help with personal wellbeing, we could also consider what this saying might mean to an organisation such as MS Otago. An Organisation needs to give, that goes without saying. 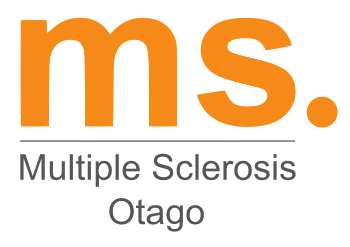 MS Otago provides support, advocacy and connection. But in order to be a healthy organisation it needs to be supported. You are your society and I ask that you consider the ways in which you not only take from but also give to your society. Many thanks again for all you have given me and, for the honour of being your patron. | wish Toni all the best in this role and am sure it will be a fruitful relationship.